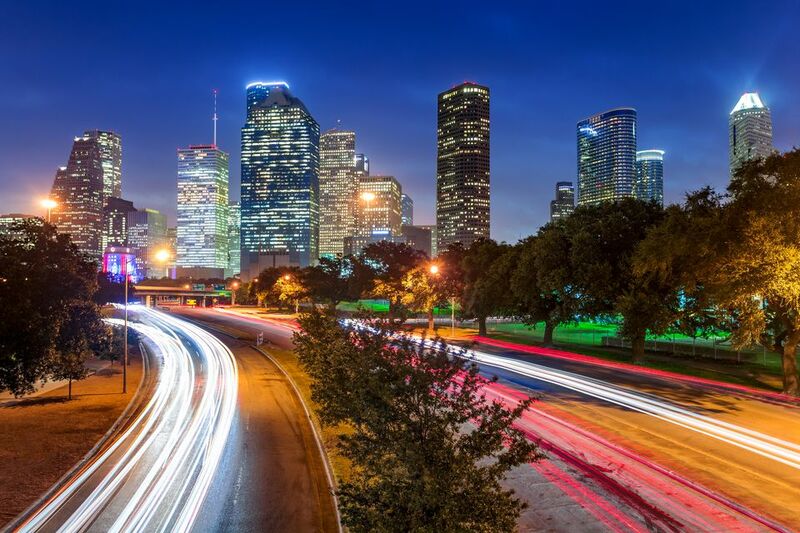 With roughly 6 million people living in and around the city, Houston isn't just one of the most populous places in the country — it's also one of the largest. The square mileage considered to fall inside Houston's metro area is bigger than the state of New Jersey. Given the sheer magnitude of things to see and do, it's impossible to fully experience all the Bayou City has to offer. But if all you have is 48 hours in the city, you can still see — and of course, taste — some of the highlights. Make the most of your stay by following this detailed itinerary. 3 p.m.: Check into your hotel. If you're only going to be in Houston for a couple of days, you'll want to stay in or around downtown where you'll have access to more public transit options. The Lancaster Hotel, located in Houston's Theater District, is a historic boutique hotel with as many perks as it has charm. It sits just blocks away from some of the city's most prestigious performing arts facilities, has a complimentary car service within three miles of the hotel, and even hosts a nightly Wine Hour for guests to unwind. If modern luxury is more your style and you're able to splurge, try the Marriott Marquis near the George R. Brown Convention Center. The amenity-packed hotel is famous for its Texas-sized lazy river and upscale accommodations. The hotel caters to the business and convention crowds, so for a cheaper, calmer stay, try booking on a weekend. 4 p.m.: Venture to Discovery Green. The 12-acre park has a lake, putting green, bocce carts, reading rooms, interactive water features and sculptures, and a playground. Throughout the week, expect to see a host of fun — and almost always free — activities set up at the park, including outdoor movie nights, exercise classes, and live performances. Or, if the weather isn't cooperating, visit the Houston Downtown Aquarium. In addition to myriad aquatic animals, amphibians, and reptiles from all over the world, you can see rare white tigers and ride a train through a tunnel surrounded by sharks. 6 p.m.: Grab an early-ish dinner at one of downtown's tastiest eateries. While both the Aquarium and Discovery Green have restaurants on-site, Perbacco is a popular pre-show bite among Houstonians in the Theater District. This spot serves high-quality Italian food in an elegant setting and is right around the corner from Jones Hall, where the Houston Symphony plays, and within easy walking distance to the Hobby Center and Alley Theater. If you want to try something a little different, check out Peli Peli. This Euro-South African spot is among the best fusion restaurants in the city and has some of the best bobotie you'll ever taste. 8 p.m.: Take in a show in Houston's Theater District. The district is one of only a handful in the United States that features permanent resident companies for each of the major performing arts disciplines: ballet, music, opera, and theater. The Houston Opera is the only such company in the world to win Emmy, Grammy and Tony awards, and the Houston Symphony is among the oldest in the state. The Alley Theater and Hobby Center for Performing Arts feature modern and classic plays and musicals, including hits from Broadway and London's West End. Purchase your tickets ahead of time online to make sure you get a seat. 9 a.m.: Get an early start by hopping the METRORail Red Line to the Museum District stop, and walking to Barnaby's Cafe for breakfast. Located down the street from the Houston Children's Museum and just a few blocks from Hermann Park, Barnaby's is a favorite among Houstonians and visitors alike. When the weather is nice, sit on the patio where you can play giant Jenga, and be sure to get the green eggs. Scrambled eggs are cooked with spinach and gooey cheese, and it's a must-try. 11 a.m.: Tour the Houston Museum of Natural Science. The HMNS is one of Houston's best museums and a prominent mainstay in a district that features nearly 20 cultural centers all within walking distance of each other. Inside, you'll find fun chemistry and physic exhibits, a butterfly garden, planetarium, and a Hall of Paleontology that's filled with an impressive selection of reconstructed dinosaur skeletons. Or if you have kids in tow, check out the Children's Museum of Houston, one of the top-rated museums in the country. This highly interactive space has activities enough for even the most energetic of children, and a specially designated Tot Spot on the second floor is great for those up to age 36 months. 1 p.m.: Head over to Bodegas Taco Shop for a lunch filled with tasty Tex-Mex. This fast-casual restaurant has some of the best burritos and queso in the city and, if you're parched, excellent margaritas and aquas frescas. Another great option is the Pinewood Cafe located within Hermann Park. This quick lunch spot overlooks a small lake and offers a variety of American staples like sandwiches, salads, and smoothies. 3 p.m.: Whet your cultural appetite at the Museum of Fine Arts Houston. The MFAH has exhibits spread throughout multiple buildings, boasts more than 65,000 pieces of art in its collection, and features several traveling exhibitions throughout the year. If you're traveling with a full family — or even if you're not — the Houston Zoo is another good option. Located on the other side of Hermann Park near the Med Center, this beloved Houston attraction has tons of animals to see, demonstrations, and activities, as well as plenty of indoor spaces to escape to when the weather is too hot or too cold to be outside for long. If you plan on going trying to squeeze in all of the above, consider getting a CityPASS, which gains you access to five of Houston's best attractions, including the museums listed here. The booklet can be purchased online and pulled up on your smartphone. 6 p.m.: Stroll through McGovern Centennial Gardens in Hermann Park. The beautifully manicured space has a wide variety of trees, flowers and sculptures, an edible garden, and fountains. The defining feature is a hill with a spiral walkway leading to the top and a waterfall cascading down the side. 7 p.m.: Grab dinner at Lucille's for some upscale Southern cuisine. Enjoy fresh, seasonal food with a decidedly Southern twist, like Lobster Cobb salad, fried green tomatoes, and oxtail and grits, while dining in their cozy and serene back patio. 9 p.m.: Hop back on the METRORail, and relax after a long day on your feet at one of Houston's downtown bars, like The Conservatory, an underground beer garden, and food hall, or OKRA Charity Saloon, where all proceeds go toward Houston-based charities and causes. 9 a.m.: Take your hotel's car service or a ride share or bike share to the Kitchen at the Dunlavy at Buffalo Bayou Park. This restaurant is known for having one of the best brunches in Houston. In addition to delicious food, the space is stunning: Crystal chandeliers hang throughout the dining room, and floor-to-ceiling windows overlook the bayou and park below. 11 a.m.: Rent bikes via Houston's bike share program BCycle and meander along Buffalo Bayou Park's bike path back toward downtown. The beautifully landscaped path follows the bayou and provides some breathtaking views of Houston's downtown skyline. Along the path, stop by some of the park's best attractions like the Water Works building on Sabine Street, where you can see the Buffalo Bayou Park Cistern, one of the city's early underground drinking reservoirs. 1 p.m.: Head back into downtown to Original Ninfa's on Navigation or Irma's Original for one last meal in the city. Both are widely considered to serve some of the best Tex-Mex in Houston. And with mouth-watering fajitas, gooey queso, and creamy guacamole, you'll be sure to end your trip on a delicious high note.